The standsome box consists of 10 slims and take good care of them. 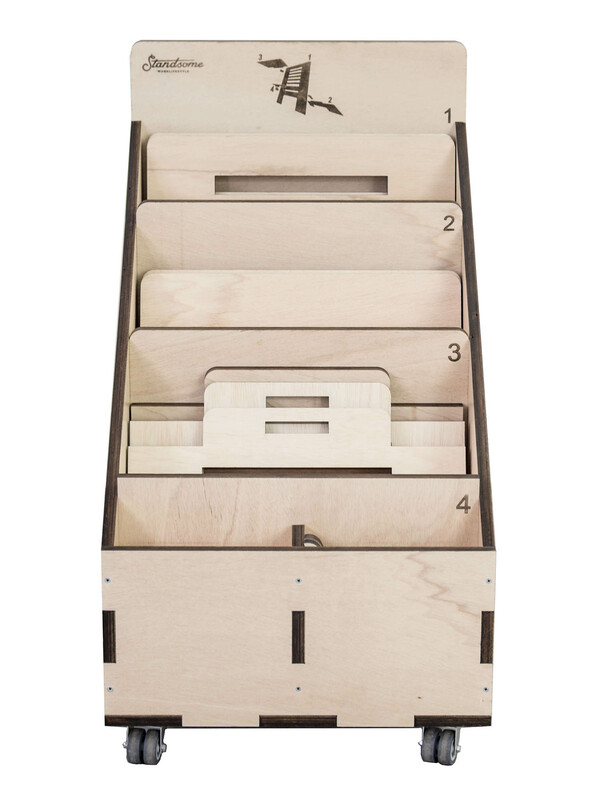 10 standsome slim are stored together with its accessories in a solid wooden box. The rolling boxes can be moved where ever they are needed. The purchase in boxes is especially convenient for open plan offices and big premises. 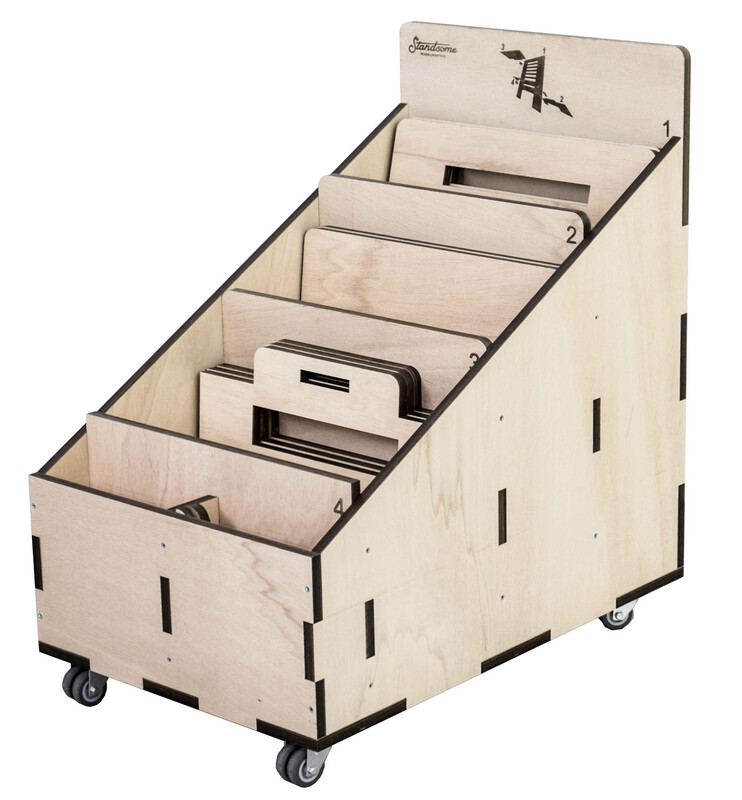 There, the standsomes can be stored easily and space-saving in the box and are available for everybody. 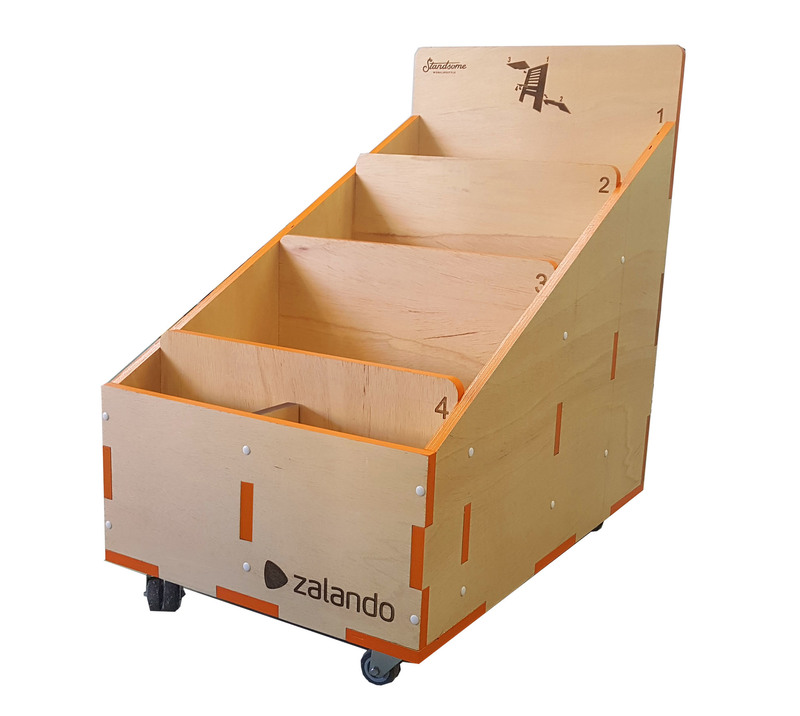 Like this, a box with 10 standsome slims is sufficient for more than 10 workers. The boxes are made to order and have a delivery time of 3 to 4 weeks. Dimensions: 90cm height x 55cm width x 83cm depth. Weight: 80kg (Box 20kg, 10 slim a 6kg).